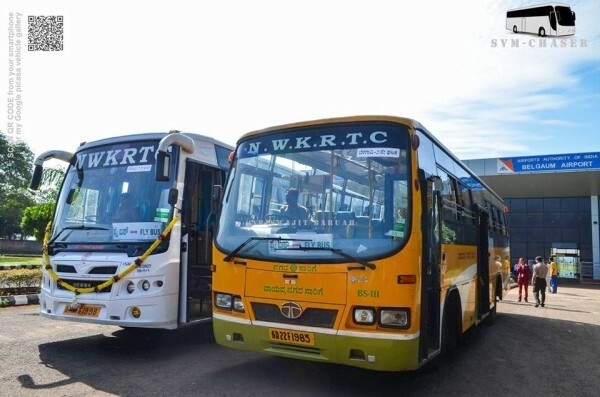 On September 17, 2014 NWKRTC has commenced a FLY bus service from Hubballi and intra city from Belagavi to Sambra airport, which now is grounded as it did not get good response. Two separate Fly bus services were commenced one form Hubballi as the airport there was closed for runway expansion and one service used to start from Udyambag and then reach Airport. But very little response to the service the Fly bus service was shut down sources said. The Chamber of commerce and industries had made this request heeding to which the service was commenced but with very little or no response NWKRTC had to ground this service.